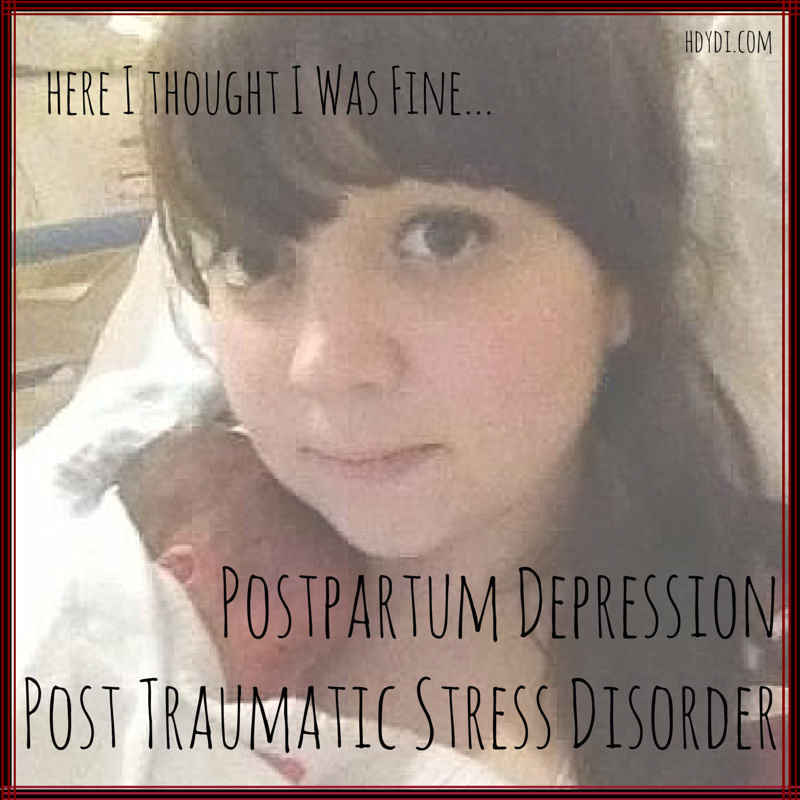 Postpartum Depression and PTSD: Here I Thought I Was Fine... | How Do You Do It? Thank you so much Jessica for your story. It was like reading my own. My twin girls were born at 30 weeks, and one week after their first birthday I was diagnosed with post traumatic stress disorder as well as severe anxiety By the time I was diagnosed, I was so underweight and sick I was on the verge of being hospitalized. I didn’t recognize what was happening to me. 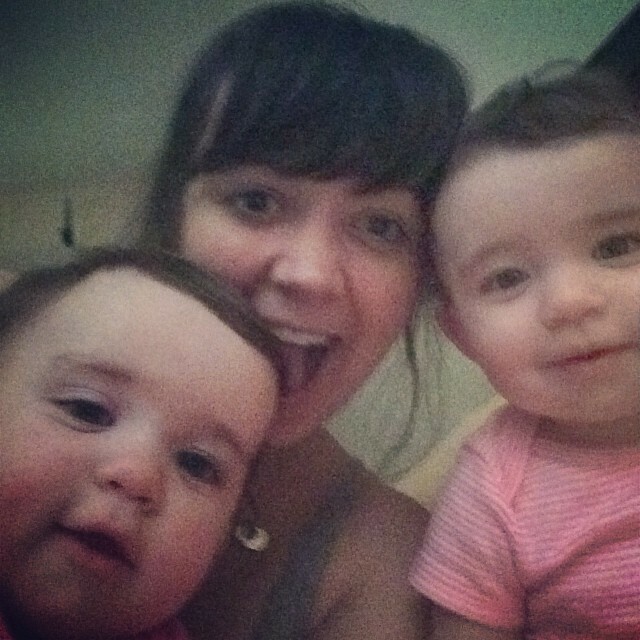 Thankfully, three years later, I am back in good health, but still trying to get over past…..I especially relate to the feelings you said about not feeling like anyone could care for your twins like you could. Even now I feel that. 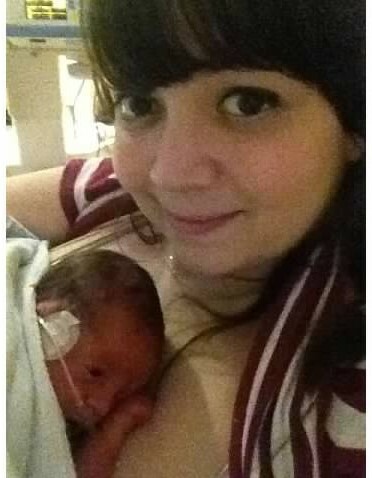 PTSD isn’t taken seriously enough, and I feel like those whose little ones have a prolonged NICU stay are at such high risk for developed PTSD and PPD that it really should be brought more to the forefront. Thanks for sharing. Thank you for reaching out! I think more than anything it’s important for us to understand that we are not crazy. There are so many moms out there who feel the same. I’m so happy to hear you are in good health. Take care of yourself. And those littles! Although I don’t think I ever crossed into the realm of PPD or PTSD, I relate to so much of what you’re saying. My girls just turned six, and I *still* mourn the sudden end of my pregnancy at 34 weeks. And as silly as it feels in some ways, I remember what a harsh reality it was when it felt like nothing was about “me” anymore. I know that sounds incredibly selfish, especially out of context…OF COURSE my babies were the priority…but it was still a really rude awakening. Thank you for sharing! And I love reading your bio about why you started blogging. 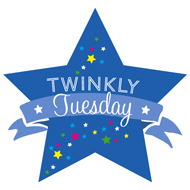 I didn’t happen upon any twin resources while pregnant, either, and that’s a big part of what drove the creation of my blog. Thanks for reaching out! It’s so funny/not funny that you say that you still feel that way after 6 years because I say all of the time, “17 more years!” Although I now know it will be much longer than that! I really relate to the anxiety – I felt that no one could care for my babies like I did, and even though I was a SAHM for the first two years, I rarely let anyone help the first year. It was more painful and difficult to deal with those emotions than to accept help that may throw off a schedule or cause my boys distress, which in turn put me into an absolute tailspin. It didn’t feel natural to hand off the interactions with my sons that would ultimately bond us together, even though caring for them both 24/7 was an impossible task for one person. When they turned one, I was struck with feelings of sadness, anger, and vulnerability – their emergency c-section birth, after more than 36 hours in labor, plus a very difficult recovery that included re-hospitalization for me (without my babies! ), is still a traumatic memory, even though my boys were healthy and got to come home right away. 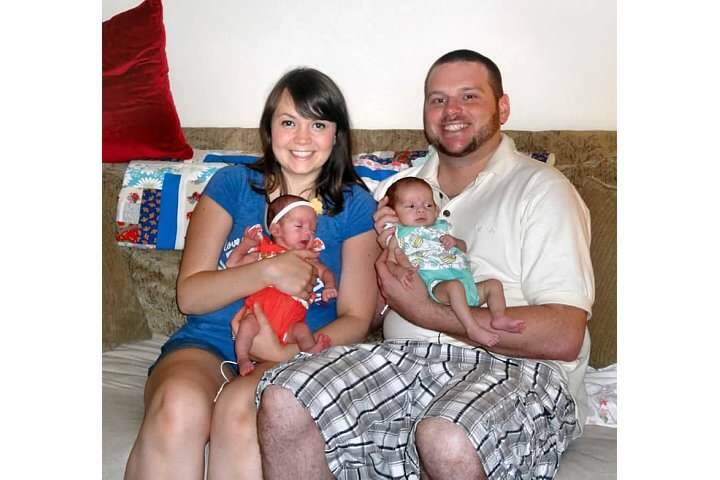 Just being able to recognize that their birth was traumatic for me and honor those feelings has helped a great deal. So has talking with other twin moms who had a traumatic birth experience. You know, I never thought of my birth story as being traumatic but you’re right – it was! And we are still dealing with schedule issues. My girls don’t nap well for anyone but me, and they don’t sleep through the night anywhere but in their own cribs. Makes it tough to have a life! Hang in there! Thank you so much for sharing your story Jessica. I, thankfully, have managed to avoid both, but I have always checked my little one’s breath before going to bed. Just to comfort myself. I’m so happy to hear that I’m not the only creepy one! 😉 I’ll probably still be shaking the girls awake when they’re 16. I even go in every time I wake up in the night. It’s probably totally my fault that they don’t sleep through the night lol. Thanks for reaching out! Thank you for sharing your story. I remember how I resentful I was when after the birth it became all about my babies – then I felt awful that I felt that way. 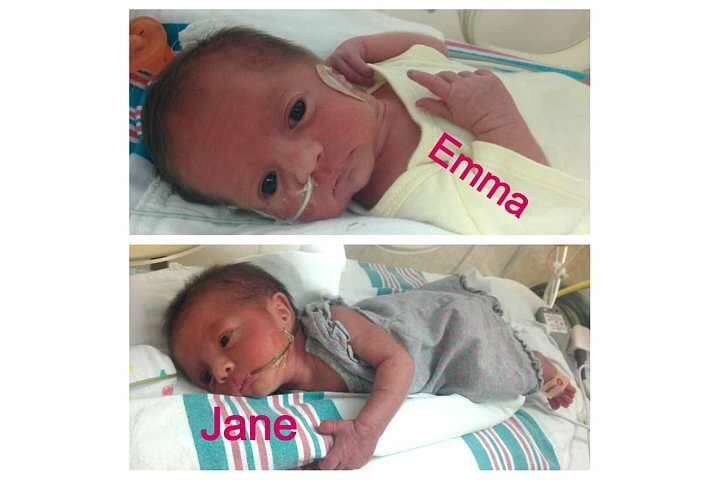 It’s taken me 4.5 years to process that during the birth, I could have died from eclampsia and twin B might have been brain damaged from lack of oxygen had things not gone the way they had. Of course I’m grateful that we’re all fine, but I do feel jealous when I listen to other people’s stories. I think that jealousy is totally natural. I’m jealous of my friends who have singletons because they get to rock their babies to sleep every night. I’ve never been able to do that (I only have one rocking chair and the girls go to bed at the same time). I also struggle with feeling like my bond with my daughters is not as strong as some people’s bonds are with their singletons because I didn’t get to take them home right away, didn’t even have them in the room with me, couldn’t hold them as soon as they were born, and can’t spend as much one-on-one time with them as I would like, AND I work full time so I have other people caring for them all week long. It’s an every day battle to maintain my sanity with those feelings of guilt/jealousy. I’m just hoping that time will heal and I will come to terms with the fact that this is my life, and no one can replace Mama, no matter what our story is! Thank you for sharing your story. I and my twin brother was born two month early and we were at that time separated from our parents. It took me the rest of my life to overcome the separation. When I got my first-born I experienced anxiety and insomnia and my bonding with my son was complicated. I am writing about my life’s experiences too but it hurts to crack this story open. Thank you so much for sharing your story. It’s not easy, but the more of us that talk about it, the more mothers in this position can be helped.